If playing coop, one person controls Fishbird in the air, while the other controls it in the water. Each player has a unique ability when they aren't in direct control. You'll have to cooperate with your teammate if you're going to make it through! Solve unique physics puzzles, navigate dangerous paths, and avoid hazardous obstacles through 4 levels! Gamepad with a joystick STRONGLY recommended. In general, there is a "primary" player who is directly controlling movement, and a "secondary" player who has an ability. 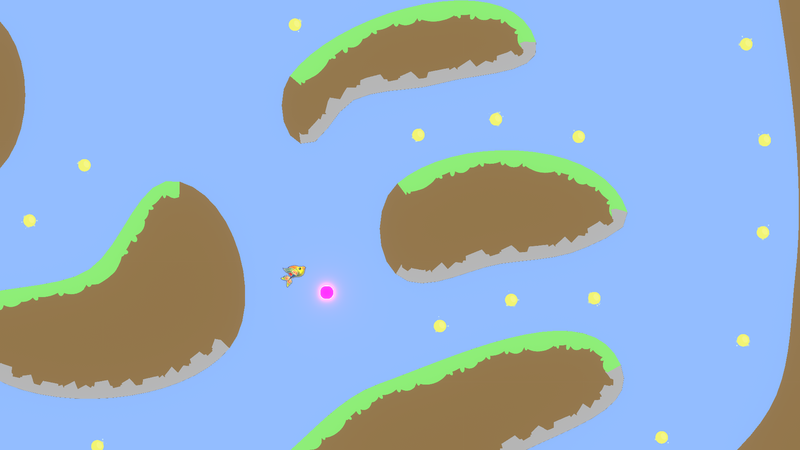 Primary Player - Flying - Going left will rotate you counter-clockwise while pushing right will rotate you clockwise. 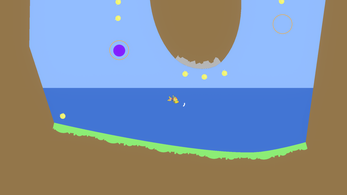 Secondary player - There are some purple/pink colored orbs floating in the level. The secondary player can hold their Special Ability button (Right Trigger) to latch onto those nodes, then use the left stick to aim the ability. Releasing will launch you in the direction and the node in the opposite direction. Primary Player - Swimming - Just point in the direction that you want to move. Secondary Player - Vortex Shot - Use the left stick to aim, then hit the right trigger to shoot out a "vortex". Use this to push enemies/obstacles away, move objects, and also to boost yourself! 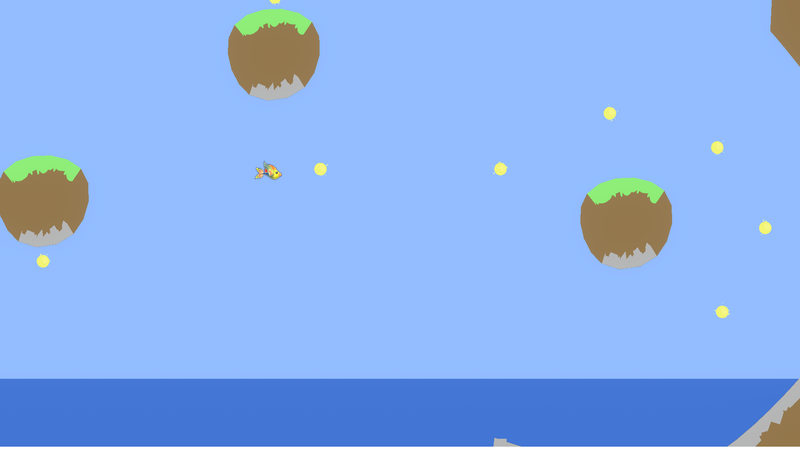 Fishbird was created for the 2018 Github Game Off.